Stop to smell the wildflowers at Pomonal, a picturesque village set against the dramatic backdrop of the Grampians National Park and only a short 10 minute drive from Halls Gap. Famous for its native flowers and orchids, the area’s rolling green hills make a gorgeous backdrop to nature walks, vineyards visits and farm gate expeditions. Got a green thumb? Explore the dazzling wildflower gardens and nurseries on Wildflower Drive. Come in spring when the wildflowers are in bloom and check the date to make sure you’re there for the Pomonal Native Flower Show. Explore the Grampians National Park from the east (or from Pomonal) by taking the Tunnel walking track over the Mt William Range where you will be rewarded with views across Serra Range. On the descent, stop by the historic water tunnel that goes through the Mt William Range to supply water from Fyans Creek to Pomonal and Stawell. 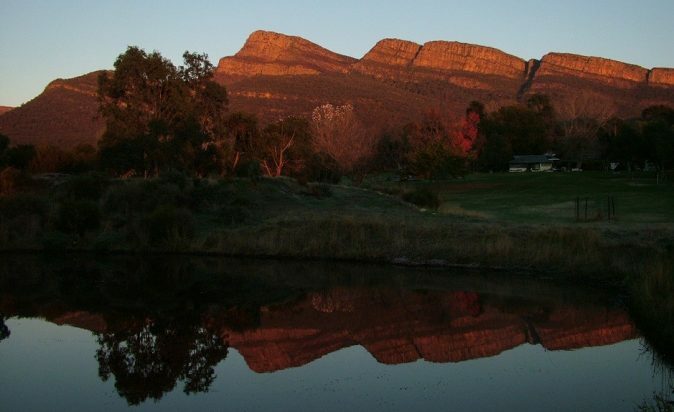 Take the short drive out of Pomonal to get to Halls Gap Zoo. Pack a picnic for lunch and see native wildlife including wombats, emus, dingoes and possums in a native bushland setting. Stop by farm gates to fill up the boot with local produce and wares. Call in for a wine, beer or cider at Pomonal Estate. Stock up on all things “olive”, including award-winning olive oil, table olives and olive salt, at Red Rock Olives.